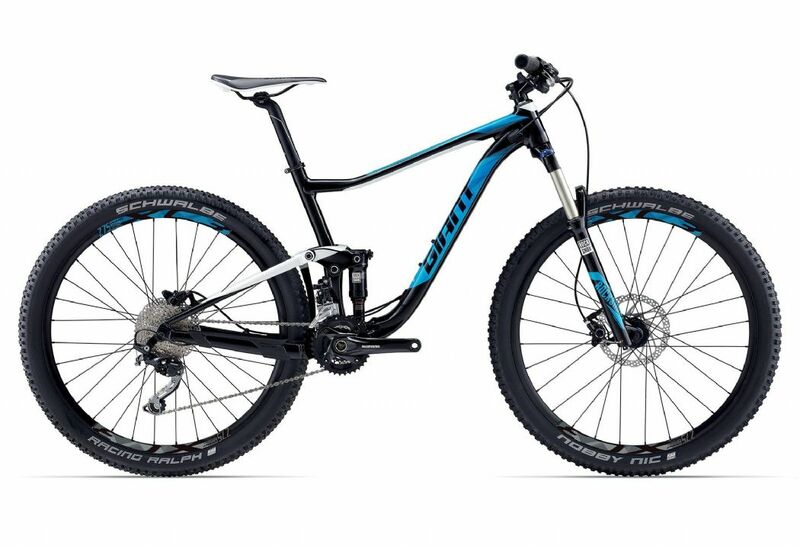 "A seriously great bike" - Flow / "Giant's most capable Anthem yet!" - Singletrack / "An outstanding high-velocity race or rowdy ride predator at a cracking price.” - BikeRadar / The quick and agile Anthem fast trail bike is updated this year with a new Trunnion Mount Maestro rear suspension system for even smoother trail performance. The new Advanced Forged composite rocker arm adds strength, giving you 110mm of smooth, active rear travel. The lightweight ALUXX SL aluminium frame is engineered specifically for 27.5 wheels and a 120mm suspension fork. New this year is Boost hub spacing (110 front/148 rear), which improves wheel stiffness for added control, while adding tyre clearance and improving drivetrain performance. The frame also features Giant’s OverDrive steerer tube for razor-sharp handling, plus a PowerCore bottom bracket for maximum pedalling stiffness and power transfer.